Update: For Halloween 2018, Into the Black moves to a new location, where it becomes part of HorrorWorld, a multi-maze haunt also featuring The Psycho Sanitarium and The Fleshyard Haunted House. Making its debut at the Fairplex in Pomona for Halloween 2017, the new Into the Black Halloween haunt attraction featured three components: a film, a walk-through haunted house, and a virtual reality experience. The film filled in the back story portrayed a paranormal investigation of a cursed dwelling. The haunted house allowed customers, one by one, to follow in the footsteps of the investigators, seeing the haunted house in present day. The virtual reality experience took participants into the past, showing the horrible events that led to the haunting. 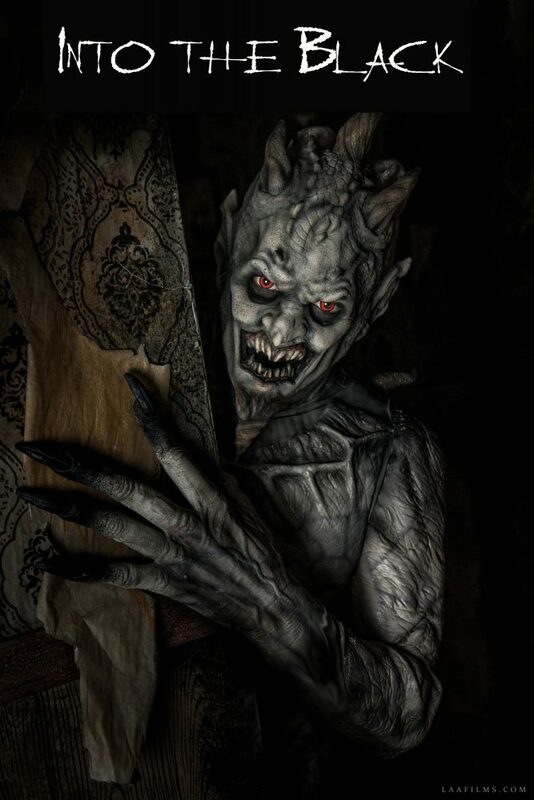 After a successful first season, Boneyard Effects (the company behind the haunt) decided to expand Into the Black into a multi-haunt attraction for Halloween 2018. Named HorrorWorld, the new event included a slightly revised Into the Black Maze, along with The Fleshyard (a successful Orange County Haunt), a new maze called Psycho Sanitarium, and a new VR experience, titled VKult (which was totally different from the previous VR attraction, telling a story separate from the Into the Black Maze). HorrorWorld also included vendors selling collectibles and snacks. Plans for future Halloweens are to expand even further, adding more haunted attractions.